Fans of rapper Jay-Z who thought they'd grabbed hold of an app granting them access to an early release of his new album Magna Carta Holy Grail have found themselves on the receiving end of an anti-PRISM Android Trojan designed to slurp all their data, according to security researchers. It is not yet clear if the data-stealing functionality is being used by the malware-flingers, however. The malicious code poses as a real app released through the official Google Play store and designed to mark the recent release of Magna Carta Holy Grail. The legit version is exclusively available on Samsung devices. The malicious (pirated) version of the software, discovered on unofficial Android app sites by researchers at McAfee, starts a service called “NSAListenerService” which surreptitiously uploads data from compromised devices every time the phone restarts. It's also programmed to download additional malware components every time it phones home. Yesterday, on the 4th of July, the malware broke cover. Android-AntiObscan is programmed to change the infected device’s wallpaper to an image of Barack Obama wearing headphones under a banner of “YES WE SCAN” along with the sub-headline “We are watching you”. 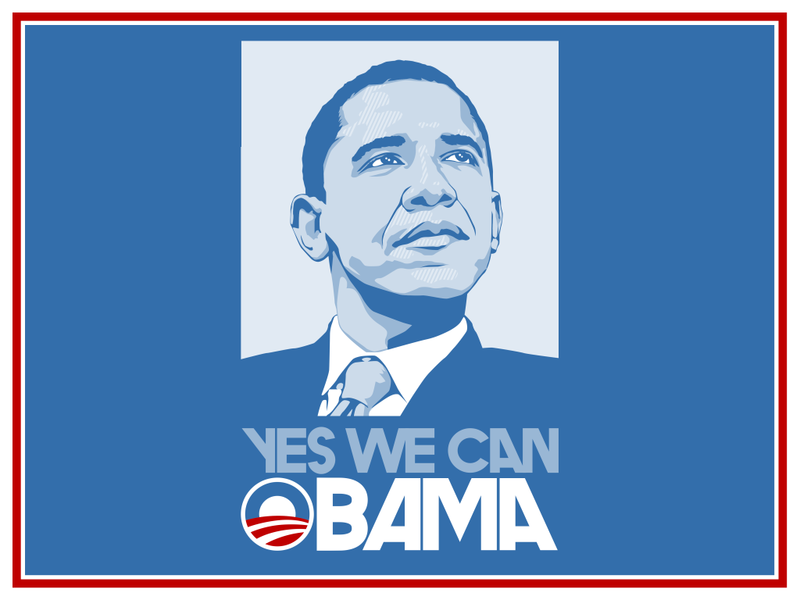 The image is a reference to the "YES WE CAN" iconic first-term election posters used by the Obama campaign. The whole set-up goes even further back to the era of old-school politically motivated malware, reminiscent of a more innocent time before cybercrooks and state-sponsored cyberspies dominated the malware landscape. However the mobile application is still designed to steal information from compromised devices, so it's perhaps too early to dismiss its activity as a harmless political prank, security researchers warn. "What we have here appears at first glance to be old-school politically-motivated malware, designed to make a point and spread a message rather than necessarily make money for its creators," writes independent anti-virus expert Graham Cluley. "However, the fact that McAfee claims that some information is shared with a third-party server and the malware downloads additional code does raise alarm bells. "The official Play store, governed by Google, hasn’t been entirely successful at keeping malware out in the past – but it is certainly a safer place to get your apps than some of the third-party unofficial Android marketplaces out there," Cluley added.